Girl Of Steel: Does A Supergirl Movie Mean Henry Cavill's Quitting As Superman? Could a new development in Warner Bros' rebranded DCEU point at an even bigger change in the future of the franchise - at least for Superman and his fans, anyway? This rumour all comes out of the revelation that Warner Bros are actively making a Supergirl story from the writer of 22 Jump Street. It's a smart move in terms of catering to an unexploited gap in the comic book movie market, for sure, but it might actually serve another purpose for the studio. 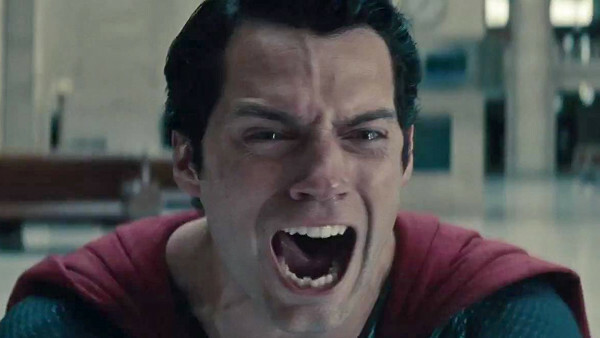 It might allow them to quietly move Henry Cavill out of playing Superman. The suggestion is that Warner will actually seek to make Girl of Steel rather than Man Of Steel, with Cavill standing down. If Cavill is looking for bigger franchise leads, it does at least partly suggest that he's expecting to have some more free time in the near future. It's in no way a confirmation, but the chess pieces do seem to be lining up. And it wouldn't be at all surprising if Man Of Steel 2 ended up being his final bow and a sort of backdoor pilot for Supergirl to take over in the DCEU and Superman to disappear. And leaving that door open for a return a few years down the line (without Cavill) would be a smart move too. Especially with the ominous shape of a moustache likely to chase this Man Of Steel everywhere he goes.